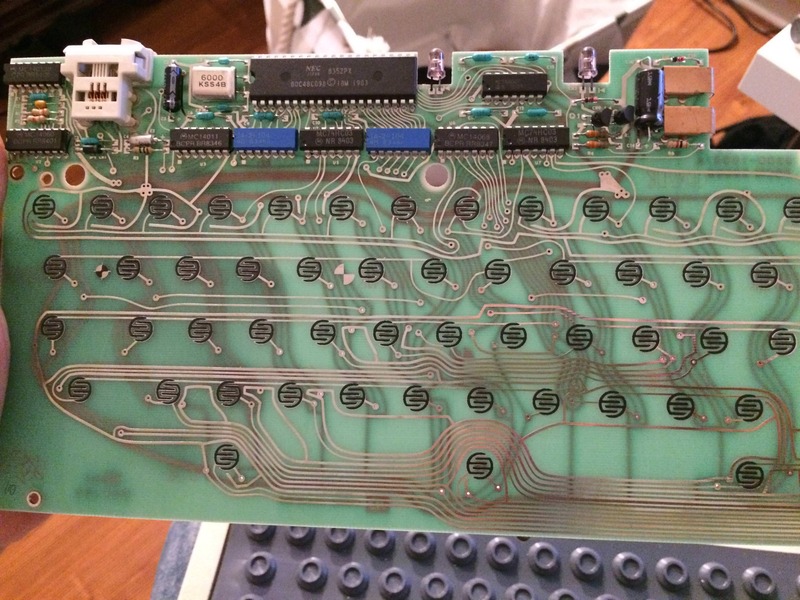 The PCB seems to contain some sticky residue of the original foam. I've seen it as well on one of my XTs that the bottom side of the foam layer was white. There are supposed to be two screws holding it to the assembly and they serve as ground connections. Hmmm, shouldn't we tag this for DTA 2019? It's a rather clean handwiring job. Vote Alps in gainsborough's TI keyboards: you will always be surprised. Voting for clickclack: trolling the artisan market since 2010. Still voting for the UHK team, even if it won't matter so much anymore. The keyboard and its firmware are brilliant, so far the only complaints I have is that the extra mouse modules aren't there yet, and that it lacks an extra key on the bottom right where now a big 2.25u button sits. Voting for the Canvas option, because at least they're trying to do something interesting with regards to shape, color, and fonts. webwit wrote: ↑ clickclack - The first artisan keycap maker avant la lettre, he inspired a whole new scene. he will be thrilled to get a wingnut! It's unlikely that he has a DTA 2018 award certificate with his name on though. Topic: Guide for Rebuilding an IBM Model F XT ? Topic: IBM Model F XT (NO FOAM) !! If "tinkerboy's converter" is running the Soarer Converter firmware underneath then those commands apply. Seriously, just try, since Soarer's tools will communicate with the device to check the version it should quickly tell you if anything is wrong. Topic: MECHANICON is back! Meetup in Frankfurt, Germany on November 3rd! I guess 7bot will do all the talking? Also, nice of you to put at least 3 ducks in the border, Webwit would approve. Model F XT with a more modern bottom row (i.e. smaller space bar and at least an extra super and Alt Gr key). An affordable DataHand, and now that we're posting unattainable wishes anyway it should better come with modern mouse support.